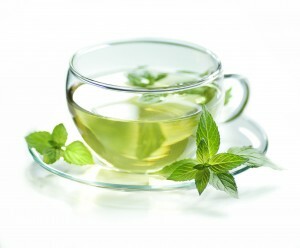 Green Tea help Rheumatoid Arthritis? Research carried out in the US by Washing State University has found that a chemical compound within green tea could be used to help address and treat some of the most painful and damaging symptoms of rheumatoid arthritis. The discovery has been found in an in depth study by researchers looking closely and analysing a specific phytochemical known as epigallocatechin- 3-gallate and known commonly as EGCG. It is this chemical which has been shown to have beneficial anti-inflammatory properties and may be able to be used in treating rheumatoid arthritis. The team at Washington State have been working on several research projects focused on rheumatoid arthritis and related inflammatory diseases and this new study has asserted the EGCG has particularly strong therapeutic possibilities. This is due to the chemicals ability to block the disease at a molecular level, without the need to block other cellular functions. The researchers believe the chemical has the potential to directly address joint pain, the tissue damage caused by rheumatoid arthritis and also the inflammation. The findings were proven in a pre-clinical study which used an animal model to simulate the symptoms of human rheumatoid arthritis. The animal subjects experienced an ankle swelling and were then given EGCG and within a ten-day treatment period plan the swelling was reduced significantly. The findings have provided lots of possibilities and indicate that this chemical compound could be an effective treatment for preventing some of the key symptoms of rheumatoid arthritis, including some of the most painful ones. Being able to prevent some of these symptoms will help stop the development of the disease to the point where it begins to cause cartilage damage, bone erosion and joint deformity. The lead researcher on the project is Salah-uddin Ahmed and he commented: “Existing drugs for rheumatoid arthritis are expensive, immunosuppressive and sometimes unsuitable for long-term use. It is a promising discovery which the research team are bound to continue working on and get to a point where they can test it on human subjects who are willing. This development could result in an effective new treatment for rheumatoid arthritis even though it is only currently in the earliest stages of development.